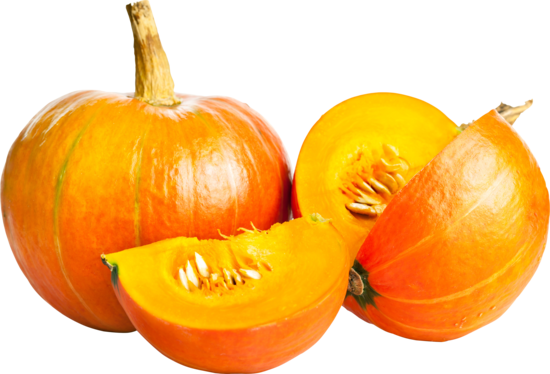 Pumpkin is one of the fruits that contain the lowest amount of calorie. This is why nutrionist highly recommends this vegetable because it is not only very nutritious but also regulates calorie intake of the body. This fruit is rich in vitamins and minerals. Therefore, it is widely used for natural ingredients that maintain a healthy body. Let’s see some of the amazing health benefits of Pumpkin here on this page. Eating well is good for your mental as well as your physical health. In the competitive world, everybody is in search of foods to increase brain power. Holla !, your search ends here. Did you know that just a handful of pumpkin seeds a day is all you need to get your recommended daily amount of zinc (4 to 7 gm a day), vital for enhancing memory and thinking skills. The brain requires nutrients just like your heart, lungs or muscles do. Pumpkin seeds are richer in zinc than many other seeds and supply this valuable mineral which is vital for enhancing memory and thinking skills. These little seeds are also full of stress-busting magnesium, B vitamins and tryptophan, the precursor to the good mood chemical serotonin. Pumpkin seeds are actually one of the most nutritious seeds to eat. They are a true brainfood containing Omega 3 and Omega 6, making them a smart snack for you and your kids. The Omega 3 fatty acids are known for their role in improving mental health, aiding memory and supporting healthy brain development. The benefits of pumpkin seeds go well beyond just omegas. They contain a high amount of magnesium, which has a calming effect on the brain. It is very rich in vitamin A. It slows down the deterioration in the retinas. Pumpkin is also rich in fiber which can make you feel full for quite a while. It improves the ability of your body to fight off bacteria and irregularities that leads to sickness. Taking it is also effective against bacterial and fungal infections that causes cough, flu, cold, skin issues, etc. Pumpkin seeds are the good source of minerals and are filled with lots of minerals including phosphorus, magnesium, manganese, iron and copper. Also, they are high in Vitamin K. They contain Phytosterols, compounds that that have been shown to reduce levels of LDL cholesterol. Pumpkin seeds helps to lower depression as it contain L-tryptophan, which helps with good sleep and lowering depression. Tryptophan is converted into serotonin and niacin. Serotonin is also very helpful in helping us to have a good night’s sleep. Pumpkin seeds are high in Zinc which makes them a natural protector against osteoporosis. Low intake of zinc is linked to higher rates of osteoporosis. Pumpkin seeds benefits in preventing kidney stone formation. According to studies, pumpkin seeds prevent calcium oxalate kidney stone formation. They reduces inflammation for arthritis without the side effects of anti-inflammatory drugs. They are also good for Prostate health as the oil in pumpkin seeds alleviates difficult urination that happens with an enlarged prostate.